Facebook Attempts To Spark Privacy Revolution, Will The People Follow? Facebook’s most recent feature announcement about the new granular publisher controls received a lot of attention for being a move against Twitter. We’ve been covering the drawn out battle between Facebook and Twitter for months now but what’s more important is the immense amount of control that Facebook is attempting to give the user. While Facebook has been criticized on numerous instances for aggressive new features that push the limits of access to our friends’ information (news feed, beacon, etc), the company is trying to hand control over to the user rather than giving them the twitter-like option of private or public. Facebook appears to be developing a system in which privacy doesn’t need to be negotiated, it is simply an option for the user. Yes, any information you put into the network will be available for the company to analyze, however visibility of that data to others is completely under your control. The only exception is when the user doesn’t actually own the data being published yet has that information attributed to them (for example getting tagged in a photo). Facebook fundamentally believes that the user should be able to control the visibility of all information they publish within Facebook. Additionally, users should have the capacity to control information that is published about them from third-parties as a result of actions they took (e.g. applications and Connect-enabled sites). Total control over our digital information is truly a new concept for the majority of users. While many individuals have been controlling their privacy settings up until now, the new publisher brings privacy settings to the forefront. You will be able to have absolute control over who can view your information which in itself is a significant notion. The closest thing I can come up with that compares to this form of privacy control is network file permissions. The difference is that most people have no idea what network file permissions are, let alone how to control them. As Facebook adds one feature after the next, the site risks over-complicating things and scaring away a portion of their user base. We’ll soon hear stories about people that selected the “Everyone” privacy setting for a piece of content that was published when they actually wanted to select “Friends Only”. The next day they’ll end up fired. For the average user, these new settings may be overly complex. Facebook believes that people want control over their information within their network. From the people that I’ve talked to, they do, but they want it to be easy. As Facebook makes one modification after the other (which we continue to obsessively document), they are testing the limits of users’ willingness to continue putting their content into the system. So far all signs suggest that the site continues to grow and once the “Twitterfication” of Facebook is complete, the company will continue to monitor all aspects of user activity on the site. If Facebook turns out to be right and proves that users want complete control over the visibility of every item they post, they could end up stunting some of Twitter’s growth. Other social networks will also follow suit with granular privacy controls for published content, hoping to stop Facebook from stealing their users. However if it turns out that users don’t really want these settings, it could end up being one of the greatest side-tracks of all time. 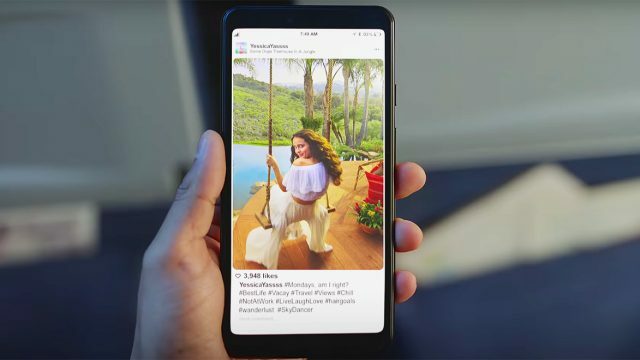 While the battle with Twitter has helped the Facebook evolve, it has also forced the growing company to put other projects on the back burner. For now, it’s the beginning of a privacy revolution. The only question now is: will the people follow?